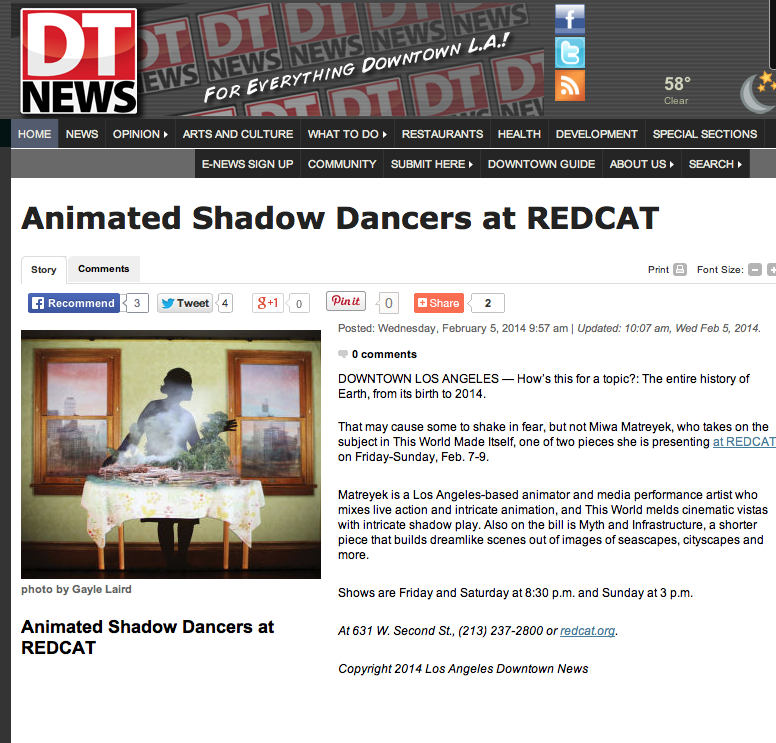 In 2009, Miranda Wright was finishing her studies in Production and Theater Management at CalArts. Just five years later, after more than 25 shows produced and with a Richard E. Sherwood Award under her belt, Miranda Wright has become “The Experimental Producer” of Los Angeles, and one of the most notorious independent theater producers in the country. 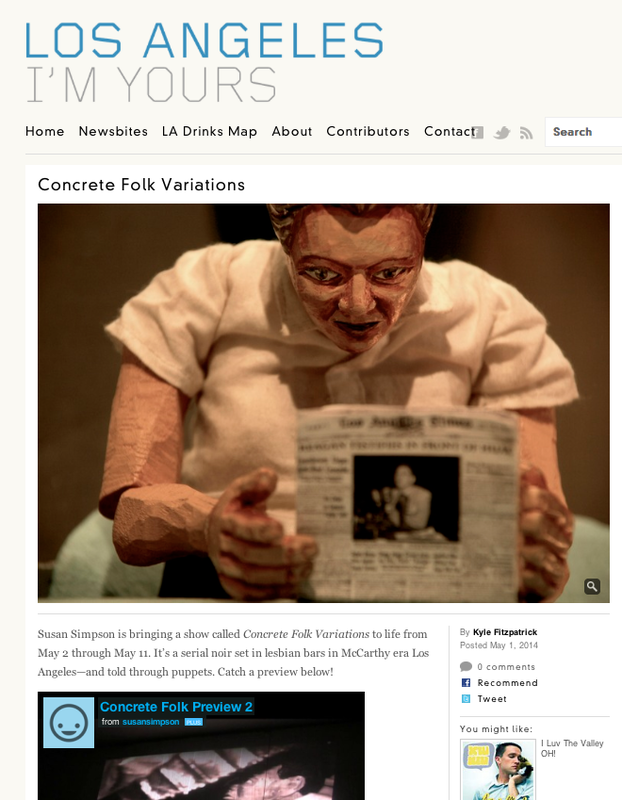 CHALLENGE #2 // "CONCRETE FOLK VARIATIONS"
Los Angeles Performance Practice & Automata supported the production of "Concrete Folk Variations", by Susan Simpson. 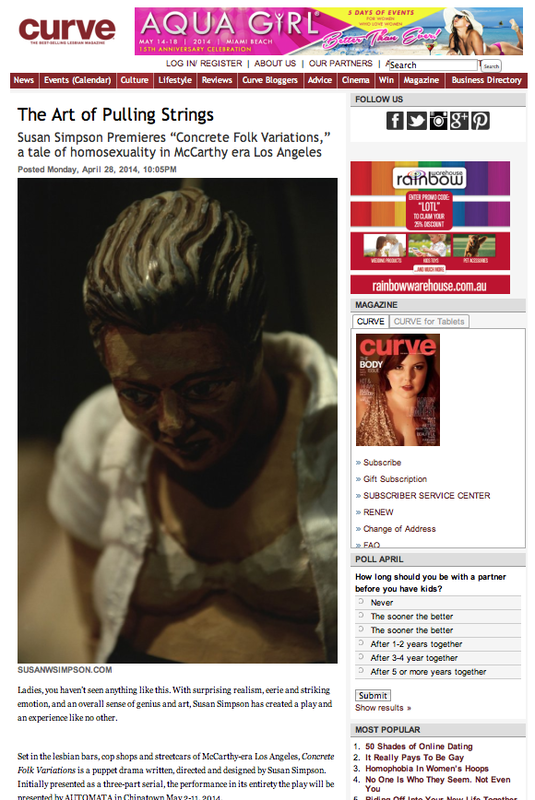 "Concrete Folk Variations" is an extremely creative noir puppet play set in the lesbian bars of McCarthy era Los Angeles.